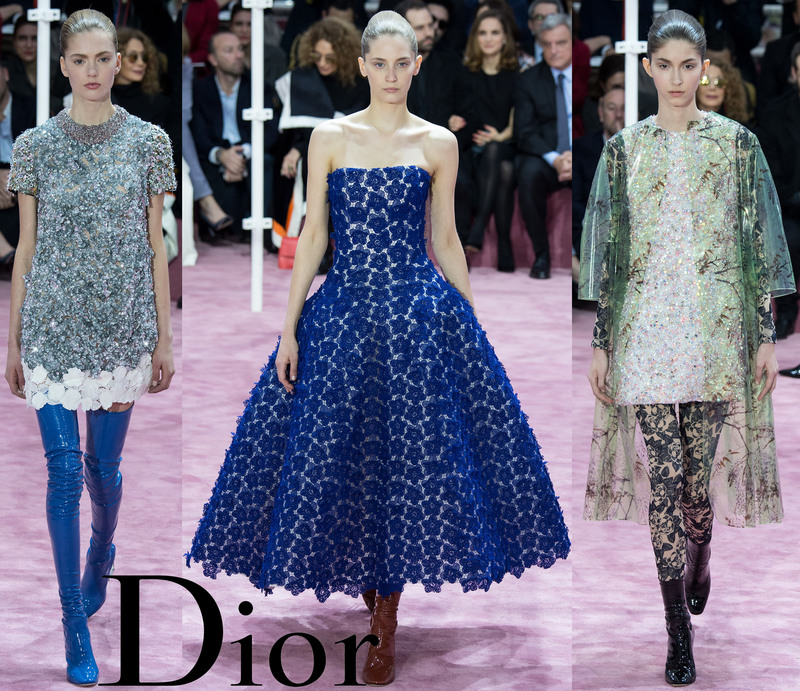 Runway Rundown: Christian Dior’s Spring 2015 Couture Show From Paris! Long Island might be recovering from the big blizzard, Juno, but the web is buzzing about all of the stunning looks coming out of Paris for Couture Fashion Week. This includes Christian Dior‘s newest Spring 2015 Couture collection, led by Raf Simons & inspired by the music of one David Bowie. The collection is nothing short of gorgeous & versatile, mixing guipure lace with graphic prints, as well as classic Dior silhouettes & playful separates that recall Dior’s legacy of elegance with some added pop-rock edge. What’s also pretty amazing is that in every shot, just over the model’s left shoulder, Dior spokesmodel, Natalie Portman, can be spotted. Not only is it likely for her to be seen soon in one of the couture looks, but other famous Dior faces like this year’s Oscar nominee Marion Cotillard & the always stylish Jennifer Lawrence, both of whom are perfect for modeling these looks for upcoming red carpet events. Which runways are you obsessing over this season? 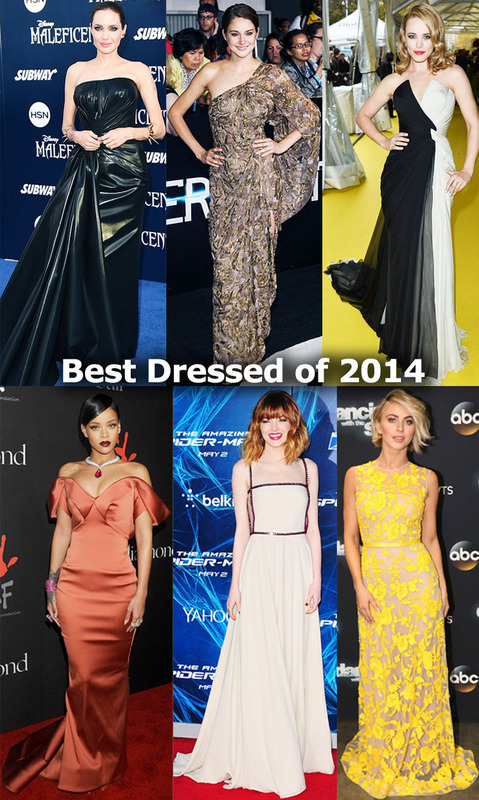 Which looks are your favorites? For more stylish posts, check out how to dress your body type, the best dressed red carpet looks from the Screen Actor’s Guild Awards, spring dress predictions inspired by Kerry Washington & Kate Mara, stylish sweaters on sale for under $20, & styling a bold statement necklace like Coco Rocha & Emma Roberts. Happy Styling! Basics For A Bargain: LBDS Inspired by Jennifer Lopez, Natalie Portman, & Kristen Bell! Black Friday is all about getting the best deals on holiday gifts, but why not treat yourself to something special this season? The perfect go-to look for upcoming parties, family celebrations, & gatherings with friends is a little black dress, much like these flirty & elegant choices worn by A-list celebrities like Jennifer Lopez in DSquared, Kristen Bell‘s cut-out zip-up dress, & Natalie Portman‘s red carpet Dior look. While shopping around the web, I couldn’t help but fall in love with these designs, perfect for every style & budget. They can be styled in so many fabulous ways with a sequined blazer, embellished bolero sweater, or cardigan, along with accessories like a statement necklace, chandelier earrings, & a cocktail ring. These dresses include: Simply sophisticated bodycon dress ($24.80) in black, available in sizes XL-3X, @Forever 21, belted capelet dress ($25.00) in black @Dress Barn, & spick & span midi dress ($35.00) in black @Lulu’s. To shop more affordable LBDs, check out these additional selections from Bluefly, Dillard’s, Victoria’s Secret, Express, Sears, & H&M. For more Black Friday posts, check out sweater sales featuring items from The Limited & Old Navy, fabulous flats from Steve Madden & Payless, & cold weather accessories from LOFT & Zara! Happy Styling!